This is Peter's amazing story of a week spent with Jesus. He enjoys being with Jesus and sharing his activities with him. But then Peter is faced with a decision. Should he show Jesus the secret thing he has hidden in the closet? 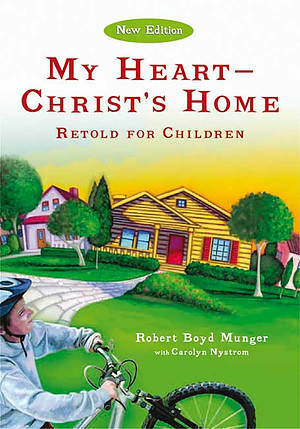 Now children can read and understand the important message of the beloved booklet My Heart--Christ's Home. Learn how Jesus guides all of life in this retelling of Robert Boyd Munger's classic that has over ten million copies in print. Now in a new edition with revised text and fresh art for a new generation. My Heart - Christ's Home by Robert Boyd Munger was published by Intervarsity Press in July 2010 and is our 14892nd best seller. The ISBN for My Heart - Christ's Home is 9780877840312. Be the first to review My Heart - Christ's Home! Got a question? No problem! Just click here to ask us about My Heart - Christ's Home.